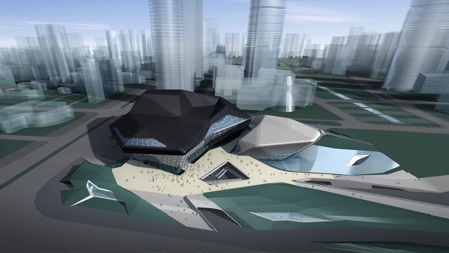 A spokesman for Zaha Hadid Architects sent AN the following statement on the condition of the building following the fire: "An incident involving a fire at the construction site of the Guangzhou Opera House occurred at 7:50am on Saturday 09 May 2009. All staff were evacuated safely with no injuries. No members of the public were involved. The fire was extinguished by the Fire Department in under an hour. Initial inspections confirm the structure of the building remains completely intact. Further investigations into the cause are undergoing. We must wait for these investigations to be completed before we know if the opening date will need to be altered." 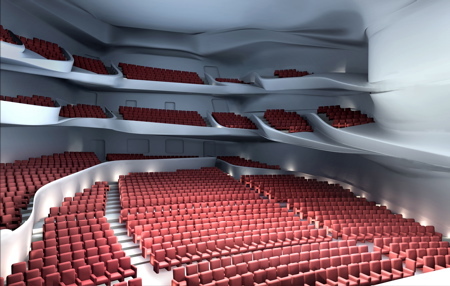 AN has learned of a fire at Guangzhou Opera House. 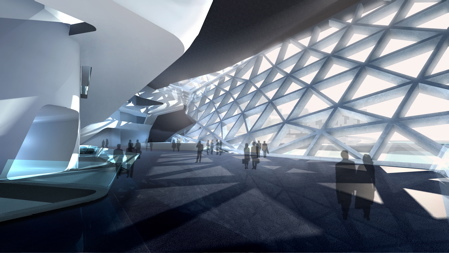 The project, designed by Zaha Hadid with a web-like exoskeleton, includes an 1,800-seat theater as well as a multipurpose hall and support facilities. The building was set to open this fall. A Chinese media outlet reports that the blaze has been extinguished but that the extent of the damage has not been determined. A project architect is currently on site and a statement from Hadid's office is expected shortly. 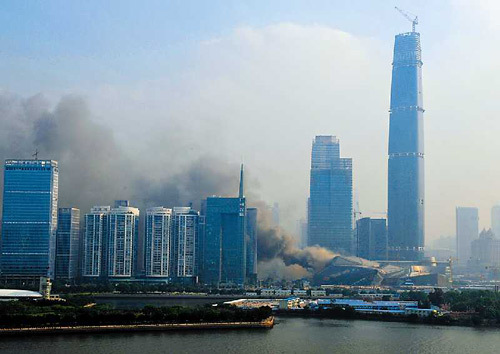 Following the recent fire of the OMA-designed TVCC tower, the event represents the second construction blaze at a building site in China by an internationally known architect. UPDATE: Hadid's office responds.